IRES Agents Door Knocking Blitz! Saturday, March 3, 2018 from 10 am to 11:30 am. BBQ after door knocking blitz at Covina Park! How is the Real Estate market in your area? 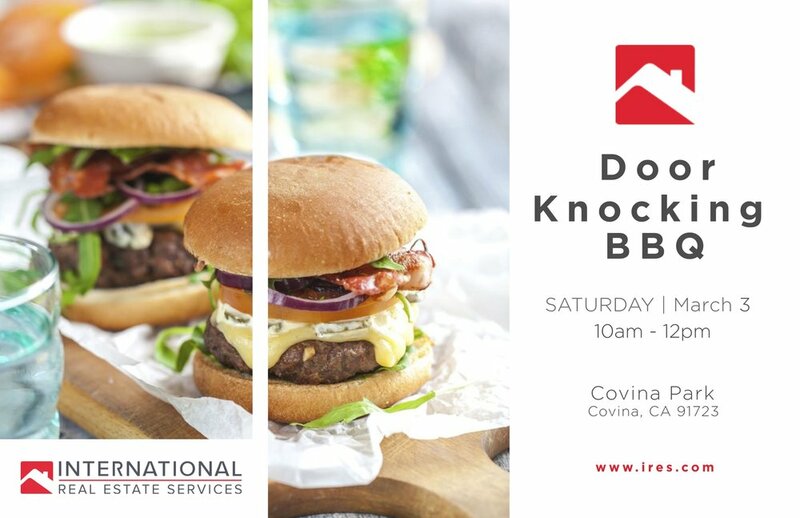 Over 15 IRES agents will be out in the area of Puente and Citrus in city of covina to answer any of your real estate questions and give you a market update.